"I’m kind of skeptical about these same-day delivery services," he told NBC News. " They perceive that there is territory to be gained here, so there is this kind of one-upmanship, but what we see is that consumers are skeptical about it." Unlike Amazon, Google doesn’t compete with retailers, but instead works as a go-between for companies like Target, Costco and others. 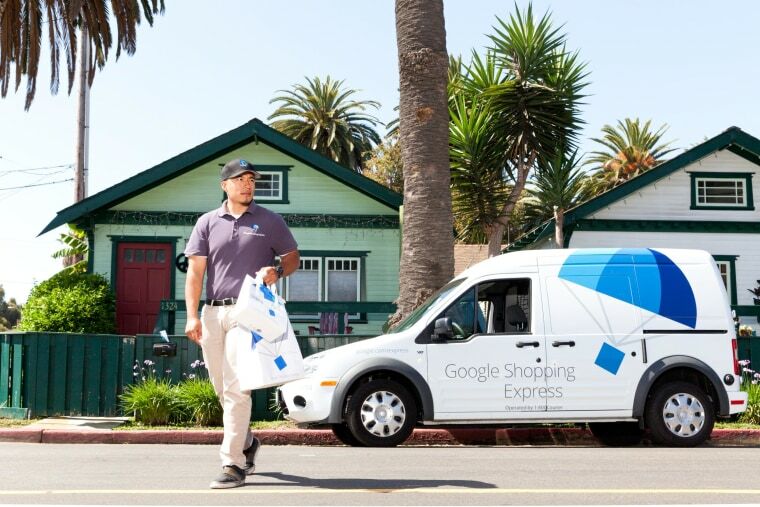 Third-party delivery agents -- trained in Google’s "Courier University" program and driving Google-branded vehicles -- pick up multiple orders from retailers and then deliver them to customers around the city. “We’re creating an ecosystem where national and local retailers can become successful," Owens said. Getting people hooked on speedy shipping have added benefits for Amazon and Google. The former offers discounts on same-day delivery for Amazon Prime members, charging a $5.99 flat fee per order. That could entice more people to pay $99 per year for Prime, in turn getting people hooked on Prime Instant Video, the company’s video-streaming service.